For seven generations, Lombard Odier has helped its clients manage their wealth and fulfill their ambitions, including their philanthropic projects. 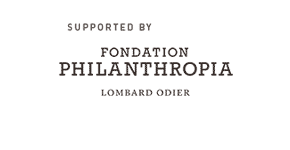 To this end, Lombard Odier created the Fondation Philanthropia, an umbrella foundation. Fondation Philanthropia relies on the expertise and skills acquired by the Lombard Odier & Cie Partners as part of their own philanthropic endeavours since their firm was created in 1796. Alexandre Lombard’s commitment in 1859 alongside Henri Dunant, founder of what would become the International Committee of the Red Cross (ICRC), is a perfect illustration of the one today which has been continued by Thierry Lombard as a member of the Assembly of the ICRC. Established under partnership arrangements between Gustave Roussy and Université Paris-Sud, L’Ecole des Sciences du Cancer (the School of Cancer Sciences) is a professional training institution unique in France. It includes a top-flight faculty who exercise their clinical and research activities in Europe’s leading cancer research centre and numerous other teachers from training and research units in Medicine, Pharmacy, the Sciences and Law-Economics-Management at France’s foremost universities. L’Ecole des Sciences du Cancer hosts and monitors this course of excellence in oncology. The Doctoral School of oncology, biology, medicine, health – CBMS of the Université Paris-Sud / Medical School was established in 2000 and is an integral part of the system implemented at Gustave Roussy’s Ecole des Sciences du Cancer . With over two hundred doctoral students, this school provides cutting-edge professional training in oncology research. The curriculum includes research activities linked to doctoral theses and additional vocational training. 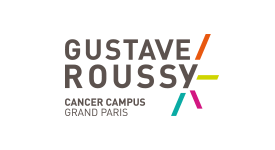 Gustave Roussy, the leading cancer centre in Europe, is an internationally recognised, patient-oriented cancer institute. It is a private health facility with 2,600 health professionals working at a single venue and focuses on care, research and teaching. Gustave Roussy fully devotes 20% of its budget to research, making it an innovative driving force in service provided to its patients. It is a private health establishment that works in the public interest and is authorised to receive donations and bequests. The personalised approach to treating cancer means giving the right drug in the right dose at the right moment to the right patient. This new approach to cancer treatment is still in its research phase, but some dozen major international cancer centres, including Gustave Roussy, have turned their attention to patients who no longer respond to standard cancer treatments. This very real revolution in cancer treatment has had an impact on diagnosis and treatment, on cancer’s socio-economic impact and on the training of future oncologists. These are three vital links in tailor-made medicine and correspond seamlessly to the integrated model of research, care and teaching that has been an integral part of Gustave Roussy’s approach for over 90 years.